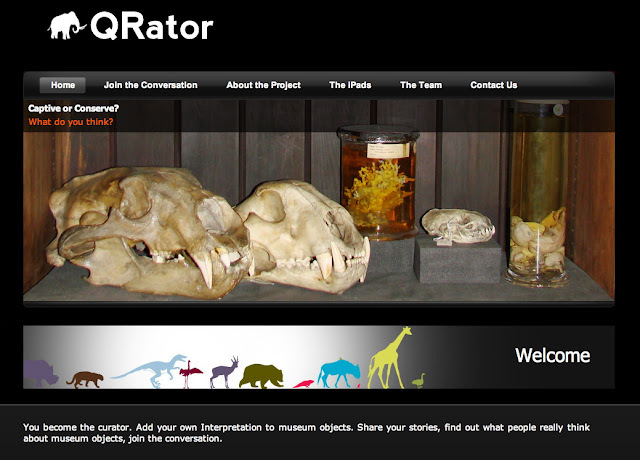 QRator is a collaborative project between the UCL Centre for Digital Humanities (UCLDH), UCL Centre for Advanced Spatial Analysis (CASA), and UCL Museums and Collections, to develop new kinds of content, co-curated by the public, museum curators, and academic researchers, to enhance museum interpretation, community engagement and establish new connections to museum exhibit content. The interactive system is designed to be non intrusive while enabling members of the pubic to simply type in their thoughts and interpretation of museum objects and click ‘send’. Their interpretation become part of the objects history and ultimately the display itself via the interactive label system to allow the display of comments and information directly next to the artefacts. The project is powered by Tales of Things technology which has developed a method for cataloguing physical objects online and capture memories and stories via the Internet of Things. QRator takes the technology a step further bringing the opportunity to move the discussion of objects direct to the museum label and onto a digital collaborative interpretation label, users’ mobile phones, and online allowing the creation of a sustainable, world-leading model for two-way public interaction in museum spaces. At its heart QRator is an iPad/iPhone and web based system that allows everyone to be a curator and share their views on an exhibition. 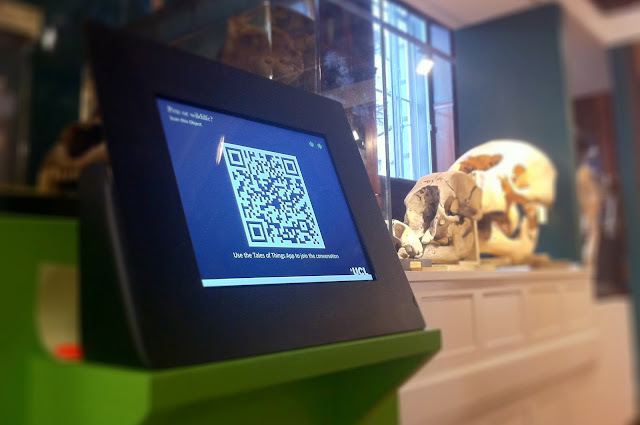 Visitors can examine an object before leaving their thoughts via an iPad to create a digital, ‘living’ label that subsequent visitors can read and respond to. By downloading a free application to an iPhone or android phone, visitors are able to see rolling updates to the digital label after they leave the museum, or via twitter. Participants are also able to take part in the conversation online via the QRator site with comments appearing live within the museum. Content currently covers two museums at UCL; The Grant Museum of Zoology and The Petrie Museum of Egyptology. he Grant Museum of Zoology is one of the oldest natural history collections in England, dating back to 1827. 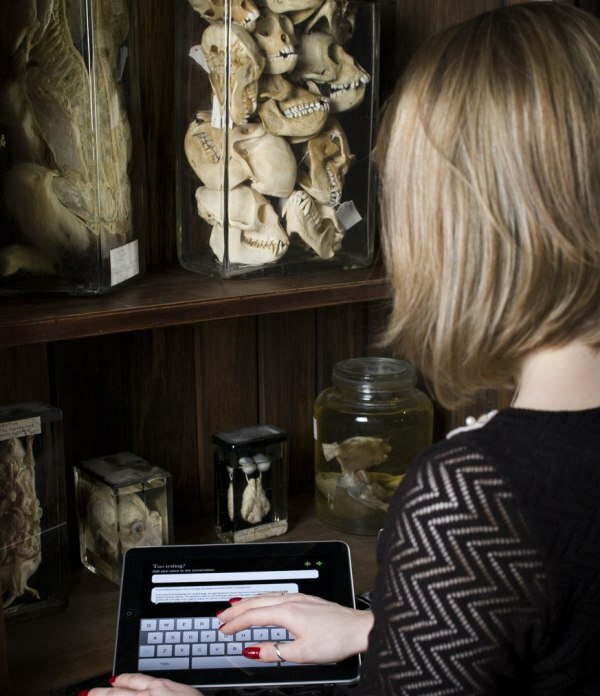 The collection comprises over 68,000 skeletal, taxidermy and wet specimens, covering the whole of the animal kingdom. Many of the species are now endangered or extinct including the Tasmanian tiger or thylacine, the quagga and the dodo. The Grant Museum is the only remaining university zoology museum in London. The Museum will offer a continual programme of ‘Current Questions’ for visitors to engage in. UCL is taking the opportunity to rethink what a university museum can be; a place not simply for a passive experience but for conversation – a cultural laboratory for the meeting of minds. Positioning the Museum as a place of experimentation, dialogue and debate. You can join the conversation by visiting either the Petrie or Grant Museum or by simply heading over to http://www.qrator.org all comments appear live on the iPad screens in the Museum and on Tales of Things.